• The wrap-around-your-arm strategy for bundling Christmas lights is a recipe for a tangle tantrum next year, but with the help of an egg carton you can easily keep them tangle-free. Using the egg dividers as guides, wrap the lights around the inside and bottom of the carton then close and secure with a rubber band. • Toilet paper, paper towel and wrapping paper rolls are the perfect size for storing small- to medium-sized ornaments and serve as good protection, too. Once the roll is full, just cover the ends with a piece of tape and your ornaments will stay safe and organized until next year. • Use any boxes from opened presents for storing decorations, rather than buying new baskets or containers. If you’re feeling crafty, used Mod Podge to decorate the boxes with all that used wrapping paper—it’s surprisingly resilient when glued on. • Despite your best efforts to consume everything before it goes bad, there’s probably something lurking in the fridge that shouldn’t be. Checking dates is especially easy at the start of a new year: everything dated 2011 and earlier should go—but that doesn’t mean you have to toss it. Compost what you can, then rinse and recycle the containers. • If you have craft supplies, beauty products or other knickknacks in need of organization, clean and save old glass jars. • Check your pantry for any empty boxes or out-of-date canned goods. Anything going out of date in the near future should be placed at the front of the pantry so it gets eaten sooner. There are lots of ways to reuse old tin cans, such as garden planters, pencil holders or scoops for pet food—but recycle anything you can’t find a use for. 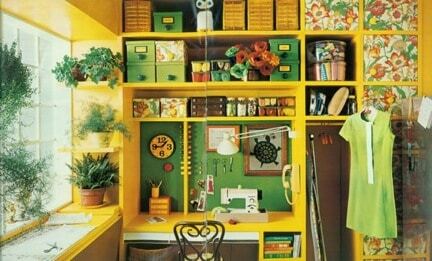 • Craft rooms, offices and other hobby areas are easily cluttered, but there are some easy ways to combat the mess. Use old glass jars (such as that moldy pasta sauce at the back of the fridge) for small items such as buttons or beads. 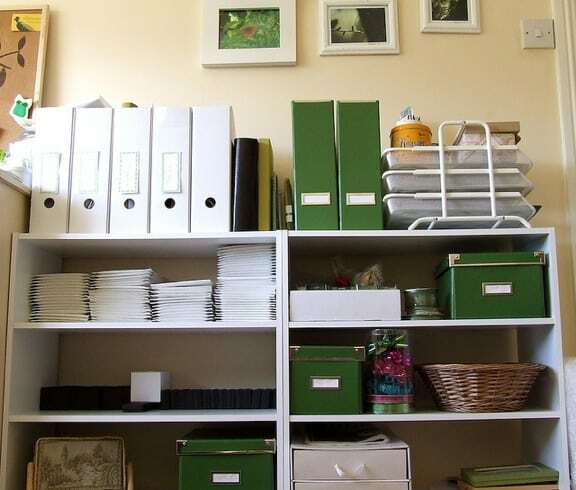 Shoe boxes are great for organizing papers in the office, and can easily be stacked and stored as needed. • Reuse the out-of-date tin cans from your pantry: large cans work well for holding pencils in the office or crayons in the playroom, and smaller tuna-sized cans work well for erasers, clips and other office supplies. • Sorting mail isn’t fun, but it’s best done sooner than later. Junk mail clutters a room quickly, so try using 2 small repurposed containers where you normally place your mail: one for important items and one for junk mail to be recycled. Gift boxes, clementine crates and shoe boxes work well for this and can be decorated or painted to match any décor. • Opt-out of any catalogs or subscriptions you don’t read or could read electronically instead. GO GREEN TIP #18: Take Recycling To The Next Level!